The Design-Build Certification Board (DBCB) is pleased to have bestowed the DBIATM and Assoc. DBIATM to more than 300 highly qualified individuals this year — further evidence of the continued growth of design-build as a project delivery method of choice. Individuals holding either of the DBIATM certifications have demonstrated mastery of Best Practices in Design-Build project delivery. They have completed DBIA’s core education requirements and have passed the comprehensive DBIA Certification Exam. Credential holders who display “DBIA” or “Assoc. 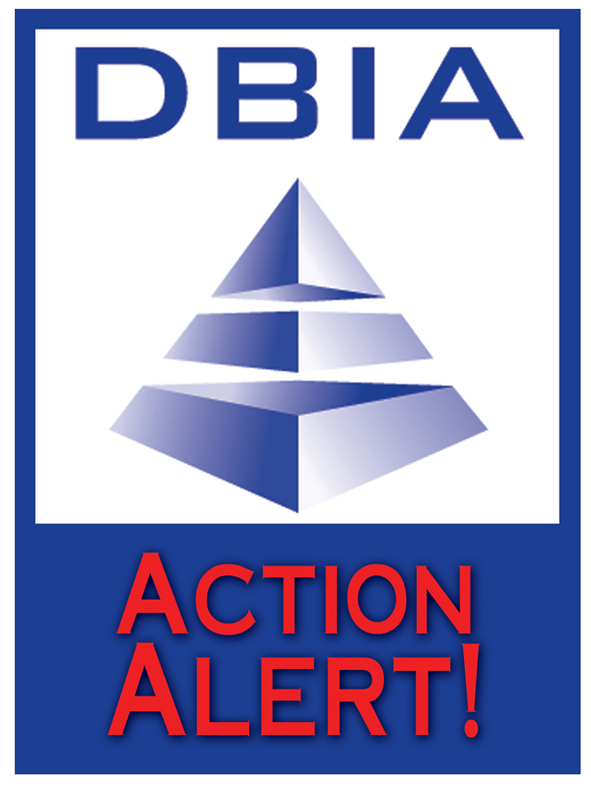 DBIA” after their names are not only committed to the concept of design-build but also to mastery of Design-Build Best Practices that result in truly integrated delivery of capital projects. A team of future design-builders from California State University - Sacramento won the 2013 DBIA Student Competition. The team of four students worked collaboratively to develop a design and construction plan for a $29-million, 80,000-square-foot residence hall. Following the two-step selection process, the teams submitted their proposals and a national jury short-listed three teams. At the final phase of the competition, the students responded to an RFP and presented their proposals to the jury. Auburn University was the second-place winner and Colorado State University came in third. As architects know, work environments have a profound impact on productivity, employee morale and an organization’s brand. DBIA has been located in Washington, D.C., since its founding but at four different locations, always outgrowing each one. Hensel Phelps sweeps the Design Build Institute of America (DBIA) 2013 Design-Build Project Awards program with five projects representing a diversity of projects across the Nation. Hensel Phelps has been recognized as one of the nations’ premier design-builders, with 33 national design-build awards, exceeding any other design-build firm. The 2013 Design-Build Award Winners are recognized for "Exemplary Collaboration and Integration in Project Delivery." Tuesday, Dec. 3, from 1:30-3:00 p.m. ET, "BIM for Design-Build Projects: Successful Implementation for the Project Team and Owner"
Tuesday, Nov. 19, from 1:30-3:00 p.m. ET, "Design Management in the Design-Build Environment"
RTD staff recommended to the RTD Board of Directors Tuesday night to move forward with a proposal from Graham, Balfour Beatty, Hamon Constructors to design and build the North Metro Rail Line to 124th Avenue. The proposal commits to completing construction of the line to 124th by January 2018. GBBH has proposed building out the complete North Metro Line to 162nd, but RTD staff is recommending that the first phase of the project be built to 124th with the funding that is currently available. Twenty-six innovators. Twenty-six different approaches to construction. One common thread: technology. The 2013 Constructech Vision Award winners are not only a group of forward-thinking organizations with a vision for how technology can be adopted on a construction projects; they are also impacting the future of construction technology. Crews have begun work to install a new permanent sound barrier on the New York State Thruway near the Tappan Zee Bridge. Portions of the existing 1,100-foot noise wall along the northbound lanes will come down, after a week of preparations. About 300 feet of the barrier, which ranges from 15 to 22 feet in height, will be removed to improve a nearby access ramp and relocate underground fiber optic cable, project officials said. State Department of Transportation Commissioner John Schroer says his department faces a years-long backlog of road projects totaling $8 billion and the possible loss of funding from the U.S. Highway Trust Fund. Schroer brought up the backlog and the “pretty good chance” that federal highway dollars could dry up in two years’ time during a session this week outlining ways to jump-start the long-stalled western extension of Mack Hatcher Parkway around Franklin. Minneapolis has surpassed the $1 billion mark in the value of construction projects for the second year in a row. This year and last year were the first billion-dollar construction years since 2000. The milestone was reached at the end of October, a month earlier than in 2012. There have been 10,371 building permits issued to date for new buildings, additions, remodels and miscellaneous work. Businesses looking for new space shouldn’t discount renovation projects involving tired, old buildings. That’s according to contractors and architects who say crews today are much better at working with clients and preparing for the unexpected challenges that arise when opening up old facilities. Naval Facilities Engineering Command (NAVFAC) Hawaii recently completed a design-build project at Pearl Harbor Naval Shipyard/ Interm-ediate Maintenance Facility’s (PHNSY/IMF) building 155 while maintaining the structure’s historic window features. "Prior to this window replacement project, building 155 was not only aesthetically unappealing, but it was a safety hazard due to broken glass and the inability to open the windows for ventilation," said Jonathan Mizushima, PHNSY/IMF shop 11 branch head. Designing a whole building in 48 hours is a somewhat daunting task. And when the design team of 60 people is scattered across the globe, the complexity of this task is raised a notch. Yet the winners of the world’s leading collaborative design competition have shown how a clearly defined Building Information Modelling (BIM) execution plan can successfully meet the challenge.